Here's some thoughts. 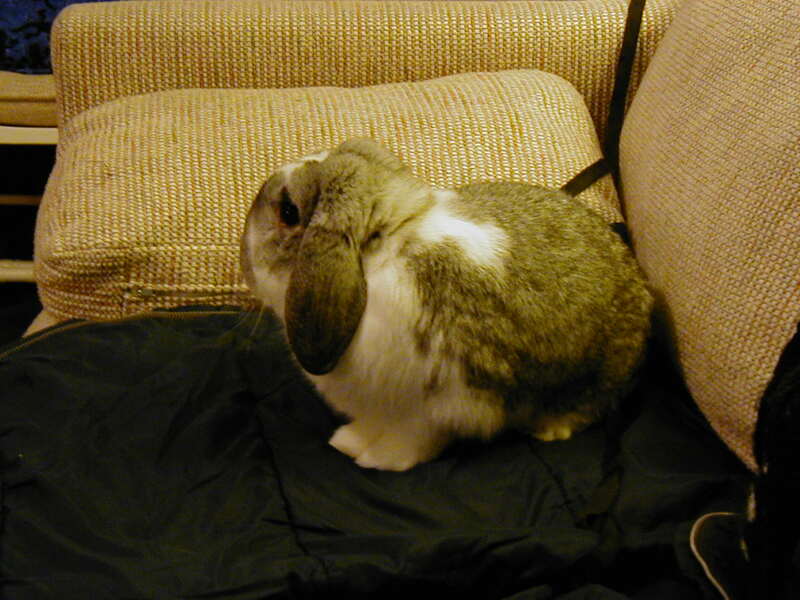 My tiny presence on the web is called rabbity.com because, of course, of my rabbits. Faced with the unavailability of my name, I had to pick something else. 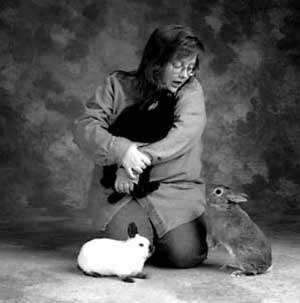 I'm pedantic enough to want a real word that's in the dictionary -- and fond enough of my rabbity charges to have a studio portrait of them -- so it was a natural choice. This is me, holding Igor, talking to Tavi, while Petrushka waits patiently. This photo came from Sutton Studios, which I highly recommend. Igor died April 5, 2000. He was about ten years old. Petrushka followed August 31, 2000. She was probably close to 11. Tavi breathed his last on April 25, 2006, at 13 years old. 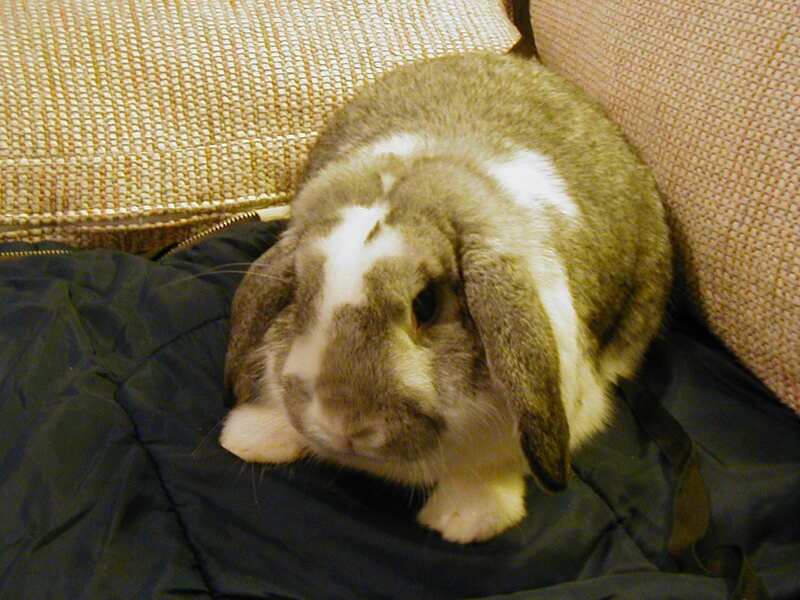 This is Buddy, who was known variously as Bunny and Smart Alec to his previous owners. They couldn't keep him, so I got him May 4th, 2003. He's about two years old here. Have a look at my friend's garden business. Evanston, IL. Great photos of you and your pets. helped me with this homepage. A mystifying yet compelling collection of rabbity photos from Japan. 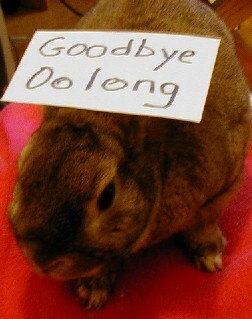 Tavi sends his sympathies to the Japanese rabbit-owner above.